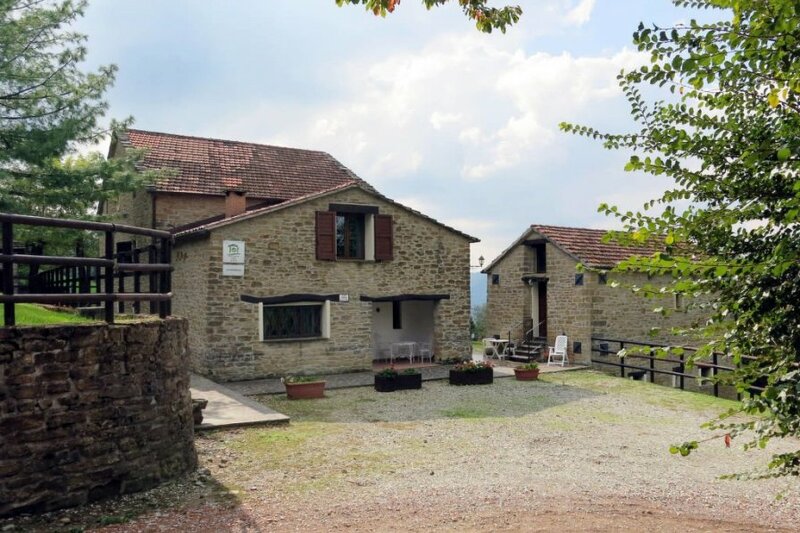 This 1 bedroom apartment is located in Castel del Rio and sleeps 3 people. Apartment, 2 - 3 people, 2 room/s, 1 bedroom/s, 1 bathroom/s, approximately 46 m², 1 floor/s, apartment on ground floor, separate access to the property. Furnishing: pleasing, cotto floor, wooden floor. Equipment: TV; gas central heating. Heating if required, € 15/​day. Linen/towels Bed linen available. Towels must be brought along. Change of bed linen every 7 days included. Deposit € 150 (in cash). Cot/​High chair free of charge (on request). Pet 1 pet allowed, € 25 per stay (please advise prior to arrival; additional animals on request only). Situation: rural, altitude 650 m, panoramic view. Access/parking: gravel road, approximately 1 km, steep, narrow. Estate (shared use with holiday guests): terraced, with garden. Outdoor facilities(shared use): furnishing provided, deck chairs, barbecue, pizza oven. Sports facilities/ leisure time: shared use (free of charge): bowling/boccia, table tennis table, children's playing equipment. The apartment is described as good value for money. This apartment is located in Castel del Rio. The nearest airport is 78km away. It is set in a convenient location, just 0 metres away from a beach and 7km away from the city center. The apartment is adequately equipped: it has a dishwasher. It also has a BBQ.